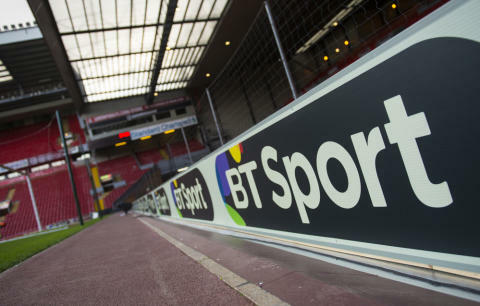 Clashes between title contenders Chelsea, Manchester City and Liverpool take centre stage in BT Sport’s line-up of Premier League games to be shown exclusively live this Autumn. 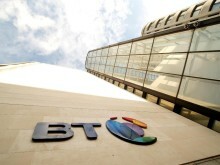 By the end of November, BT Sport will have shown matches featuring 18 of the 20 teams in the Premier League. BT Sport’s coverage kicks off with the heavyweight clash between Antonio Conte’s Chelsea and Pep Guardiola’s Manchester City on Saturday, 30 September at 5.30pm. The next day will see BT Sport focus on the Emirates as Arsenal welcome Brighton & Hove Albion at midday on Sunday, 1 October. Following the October international break, Arsene Wenger’s Arsenal will make the short trip to Vicarage Road for a 5.30pm kick off on Saturday 14 October, as they look to improve on last season and qualify for the UEFA Champions League. The next two weekends will see BT Sport cameras descend on the South Coast with Southampton hosting West Bromwich Albion and Bournemouth taking on Chelsea. Both games are 5.30pm kick offs on Saturday 21 October, and Saturday 28 October, respectively. Fireworks will be expected on BT Sport when November kicks off with two matches across the first weekend.The weekend starts with Liverpool battling it out against West Ham United in the east end of the capital at 5.30pm and is followed by a Sunday lunchtime clash that will see a London derby between Tottenham Hotspur and Crystal Palace. Following a further international break the BT Sport cameras will resume coverage of the Premier League with Manchester United playing Newcastle United on Saturday November 18 at 5.30pm. With the latter back in the Premier League, Rafa Benitez’s men will be eager to impress at Old Trafford as they bid to stay clear of relegation trouble upon their return. All of BT Sport’s matches broadcast on Saturday’s will follow BT Sport’s football results show, BT Sport Score. The show starts at 2:30pm and is presented by Mark Pougatch. He is joined by a host of BT Sport pundits during the season including Chris Sutton, Robbie Savage, Jermaine Jenas and Rachel Brown-Finnis. The last week in November sees Liverpool put their title credentials on the line as they play host to Chelsea at Anfield in a fixture that last season saw the current champions unable to beat Jurgen Klopp’s men. The match kicks off at 5.30pm on Saturday 25 November. The final two matches in November sees BT Sport cover two midweek matches. On Tuesday 28 November Watford play host to Jose Mourinho’s Manchester United at 8pm and the following evening sees the focus turn to Goodison Park as big spending Everton play West Ham United also at 8pm.